May | 2011 | Actionsuit Alert! Say hello to our new family member, Ellie. She’s a German Shepherd almost 2 years old. 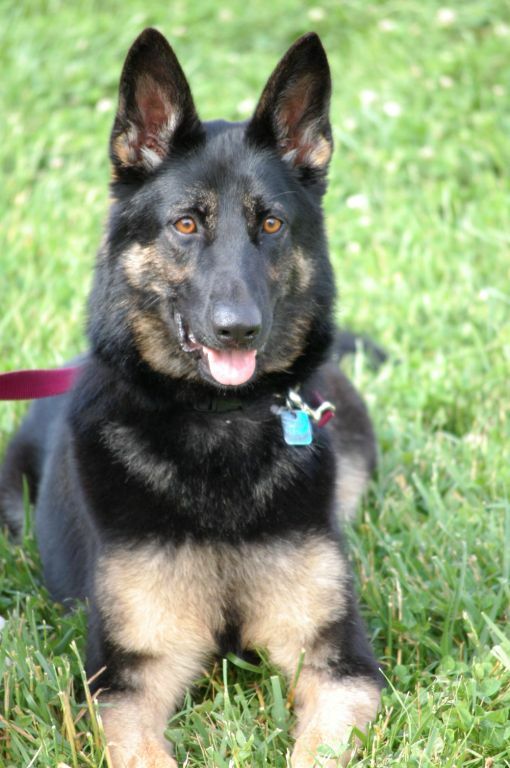 We were lucky enough to rescue Ellie through Serendipity GSD Rescue, a very well run rescue service that was able to match us with a family that was forced to give her up to move close to an ailing family member. We’ve spent the weekend with Ellie and she has absolutely melted our hearts with her intelligence, warmth, and playfullness. My daughters have now met their match in energy levels. In our search to rescue a dog I found that there are any number of rescue services for each breed you’re interested in most major cities. Check the APDA.org website for the officially sanctioned rescue services but most will register their pets with either AdoptaPet.com or Petfinder.com (as will your local Humane Society). Update: Here’s IO9’s top ten list of Greatest Superhero Dogs for your enjoyment! This weekend we start with a little cooking and alcohol to prepare us for some movie news. Yet another reason to cut the cable/satellite cord and hope therein for cooking show junkies is the Youtube sensation, My Drunk Kitchen above. In media news, Sherlock Holmes has been released and abridged into graphic novel form, review over at Boing Boing. My dad’s compendium of Sherlock Holmes stories was one of the first things I read and this looks well done. William Gibson’s Neuromancer is in pre-production to be made into a film. I’m not sure if it’s going to translate and expectations have to be really high. I hope they can pull it off though. “There can be only one!” Highlander is getting financing for a remake. The original came out in 1986 but I didn’t happen upon it until the last week of my senior year in high school in 1988. Our last physics class our teacher let us pick and watch a movie. One of the girls in the class brought in the movie their brother had rented the night before on video cassette. 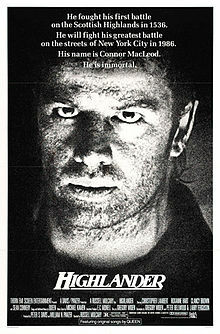 I had never even heard of Highlander before but was immediately enthralled with the Highlander world. Seriously though, who are you going to find that can replace Christopher Lambert? I shall make my case in the coming weeks. Galactic is an electric funk group out of New Orleans. I could begin almost anywhere, so I’ll just go with this: live in Japan in 2008, touring for From the Corner to the Block. They brought both Boots Riley and sissy bounce rapper Big Freedia with them, which seems to have greatly pleased the Japanese. This is “Hustle Up,” the official video for which features a breakdancing guy in a pteranodon suit. Over at NewbieDM.com they have a review of an interesting RPG game called rpgKids developed for parents to play with their kids. It’s only 2.99 over at RPGnow.com so it’s at least worth a shot. Dads familiar with DM’ing may pass on this kit and develop their own from scratch just as easily but for someone like me who always preferred a character role it looks like a lot of fun.